oomph. : marathon chronicles 07. roxy fitness + protein. during marathon (endurance) training, our bodies require more protein to build and maintain lean muscle mass and to aid in muscle recovery after workouts. without enough protein, our body breaks down muscle to fuel our body, and all of our hard work becomes counterproductive. 1) my achy legs felt like they weren't recovering after each run. 2) i felt weak when running. 3) my once toned legs were looking, uh...flabby! RDA (recommended dietary allowance) for protein for women ages 19+ is 46g (56g for men). during endurance training, the amount increases. for muscle recovery during marathon training, 1.4g of protein per kg of body weight is required. 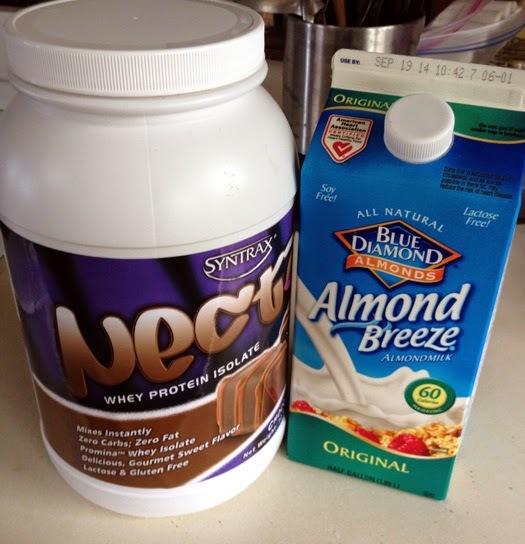 i tried Designer Whey and Nectar, but both had that "diet" taste. i tried several protein powders before realizing that most of them have sweeteners like stevia and sucralose (splenda) to keep sugar content and calorie counts low. blech! if you usually have diet drinks, you'll have no problem with these; but i do not like that diet taste. 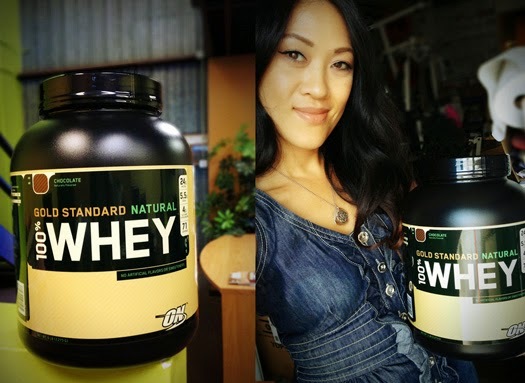 so....i finally picked up Optimum Nutrition's Gold Standard Natural Whey, which has no artificial sweeteners, and hope that i like this one. the containers are huge and they aren't cheap. while i usually mix protein powder with almond milk for a post-workout drink, i have been looking for other creative ways to use the powder. i made some super easy protein bars which i'll share in the next marathon chronicles post. see how big this 5 pounder is?! picked up this roxy suit from their fitness line. it's meant to take you from land to sea, and i've been loving it for my long runs. not sure if all these straps are functional, but it has great support and everything stays in place! I've never tried protein-powders, even during my early weight-lifting days. I get my protein from food. Nice suit! love reading your progress!! happy weekend! That Roxy suit looks amazing on you! You are making such amazing progress - congrats lady!! This is such a great post! I usually tend to not realize that I need more protein until I really look at what I eat. I have been using My Fitness Pal, this past week, and it is good to have everything right there in your face. Loving that suit! I like that top because with certain tops it would go well! I love your blue jean top! Yep, sorry you found out the hard way! I am glad, however, that you have a great plan in place now! Love the roxy suit looks fantastic! Gorg suit! And I need to get running. walking. something. Thanks for sharing, I will have to check it for me. I didn't know that! So interesting! Love your workout wear!